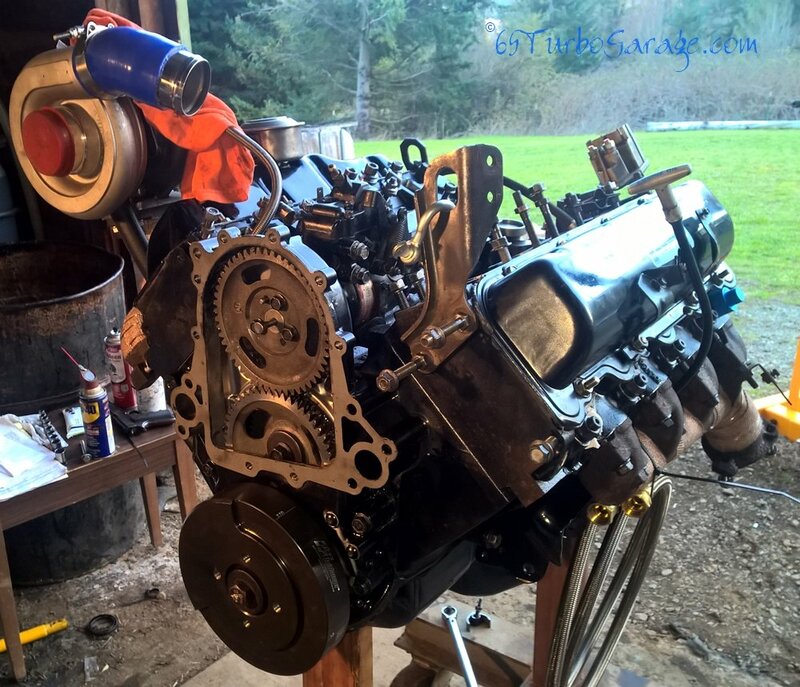 The GM 6.5 Turbo diesel is one of the best diesel engines that can be had in any truck. There are trucks with 600,000 miles and more on them with the original engine.... DURABILITY!!! All this makes them fun and economical to work on, fun to drive, able to do most of the work that you could demand of them, and if you do the work right with quality parts, they will last as long as you need them to. Beginning in 1982, GMs 6.2 liter diesel was a vast improvement over their failed 350 cubic inch beginning from the 70’s. While not up to the levels of the highest power option at the time, the 454 cubic inch gasoline V8, it still provided reasonable horsepower and high torque coupled with miserly fuel requirements compared to the 454, this new diesel was a popular power plant that was here to stay. Ten years later in 1992, we find ourselves with another option for the diesel and the subject of this site… the 6.5 liter turbocharged version that we all know and love. With 190 horsepower at 3400 RPM and 385 ft/lb torque at 1700 RPM, we find ourselves reaching closer to the 454s torque rating of 415 ft/lb (which is easily attainable with a few fairly simple modifications, and that’s the fun part!). This site is here to help you. So take your time and look through, I hope you find an idea or solution to a problem. If the site does help you in some way, I hope you consider helping the next guy by helping to support the next project. For as little as one measly dollar a month, you can help create projects like the Champion radiator comparison that showed you that your money is well spent on it before you fork out all that cash without knowing what you're getting yourself into. The goal is to save you more money than you'd ever spend on supporting the site. So look around and see if we can help you in some way and if so, I hope you consider coming back here and clicking on the Patreon logo on the right and picking your own level of support, you're in control! How Can Failures Be A Good Thing? Over the years, the GM 6.5 Diesel has gained a bad reputation based on several flaws in design, and that’s a good thing for us. The first flaw that I think of when I think of the GM 6.5 is cracks. Cracks in the block and cracks in the heads. Then there is of course, a hot running engine when towing, injection pump failures, poor coolant flow, blown head gaskets and (in the ’94 and up) the PMD failures. Sounds like a real hot mess, doesn’t it? All these factors will contribute to you being able to pick up a truck with a GM 6.5 diesel much cheaper than other wise! “But who cares!” you say, “Who wants a hot mess, cheap or not!”. So, you can pick up a good truck with a “bad” engine for a song, use the techniques in this website, forums, etc. and have a very strong, durable and fun truck that you can enjoy for a long time. Sounds like a winner to me. While I’m not a professional mechanic these days, I have been working on cars for about 35 years, was ASE certified and have worked at all the major auto parts companies (NAPA primarily) and I was a mobile mechanic for a short time, but the 6.5 is the first diesel that I have ever done any real work on (changing oil in the ’76 Mercedes 240D doesn’t count). So that’s the perspective that you’ll be seeing here. I won’t be throwing a lot of official terms out at you or moving ahead with the expectation that you are a pro with pro tools. I’ll be making mistakes along the way, mistakes that you could very well be making as well and I will try to show how I worked through them. I’ll show the tools that I used, the way that I used them and where to get them whenever possible. So grab a wrench in one hand, jump on in here and start reading up on how to do your own work on your own rig! We’ll even get into running veggie oil and much more so stay tuned! Thank You! Your Likes Matter! What do you think of the article above? Any tips, pointers or criticisms? Leave me a comment in the box below!